Cancer is touching all of our lives, whether through friends, family or as a very personal experience. Advances in treatment and management of cancer have resulted in millions of cancer survivors worldwide. However, for the individuals experiencing cancer and their families just surviving cancer may not be enough. Can one actually thrive through and beyond the cancer experience? Recent research has proven the benefits of qigong exercise as supportive cancer care. 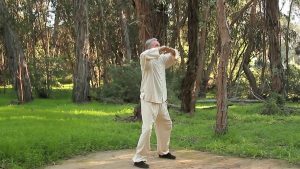 Qigong is an ancient practice of energy cultivation which supports and revitalizes the body’s natural healing abilities. It includes mindful exercise for health, healing, and longevity. 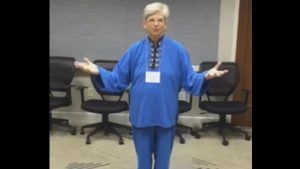 A dedicated group of qigong enthusiasts have embarked on an altruistic challenge: to make a short film about qigong in cancer care. The goals of the short film are to raise public and professional awareness of the benefits of qigong in cancer care and to provide instruction in a few mindful exercises and beneficial practices to help one through the cancer experience. 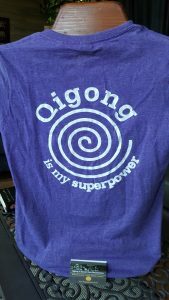 It is our hope that this project will become a justification and stimulus for a wider access to qigong programming for individuals with cancer, their families, and their support partners. Our intention is to share the final product freely with the world to reach as many individuals with cancer as possible. We have chosen to fund this project through small donations as a grass roots endeavor. There are two reasons for this decision. First, because there is little commercial value to the work, and it does not fit the mission of major cancer foundations. Secondly, raising grass roots interest in the project serves as part of wider dissemination efforts. ‘Many hands to make light work’. Hundreds of small donations can potentially help millions of individuals with cancer. 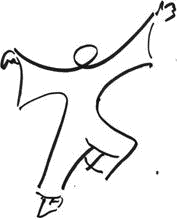 Watch this site for information about Qigong in Cancer Care and for updates on our work.